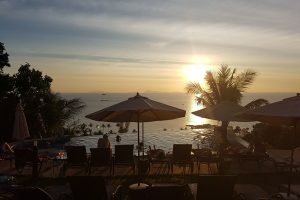 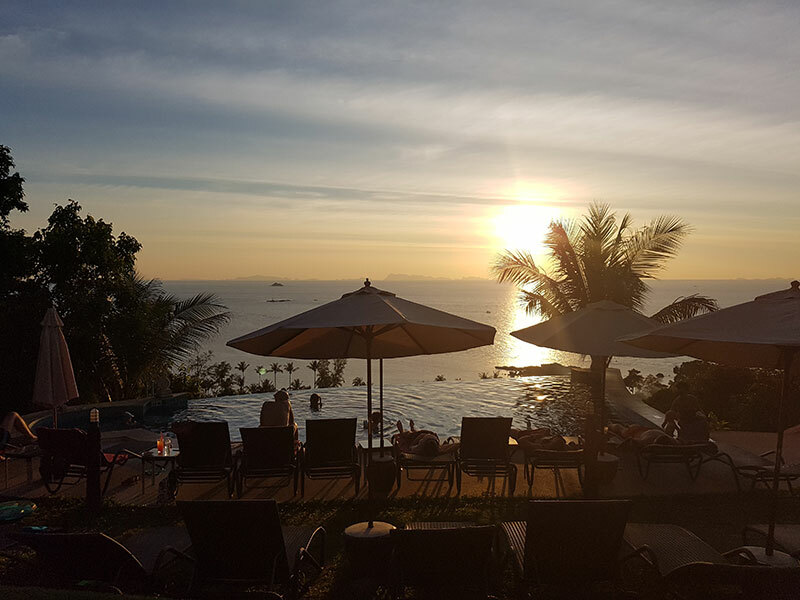 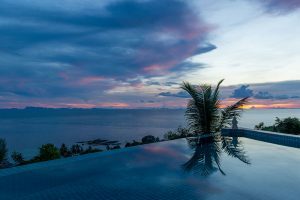 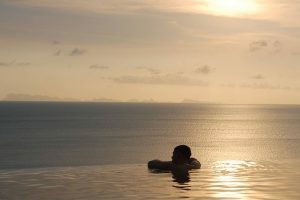 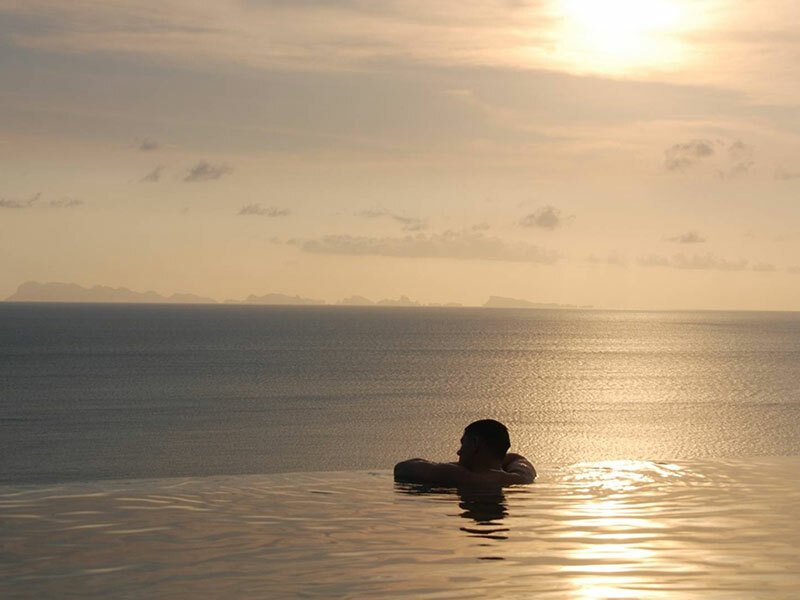 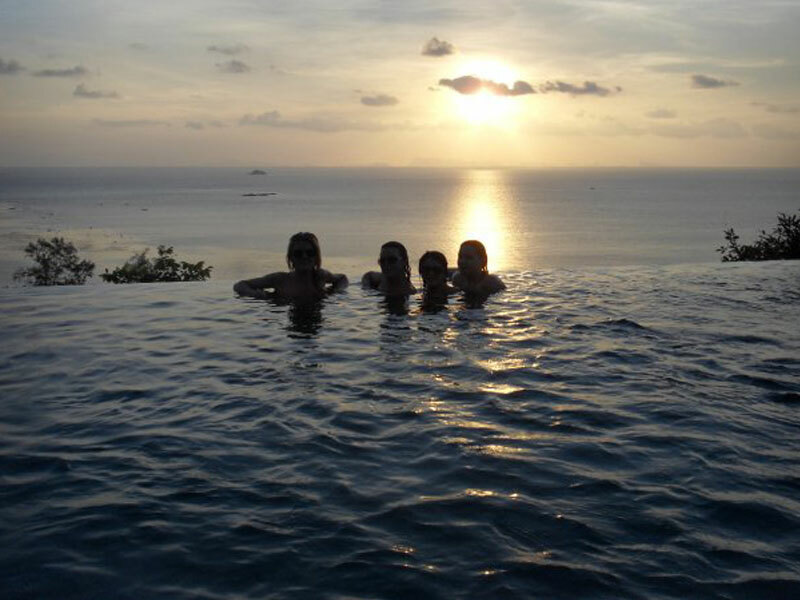 The Sunset Hill resort has a nice infinity pool at one of the best spots to overlook the Gulf of Thailand. 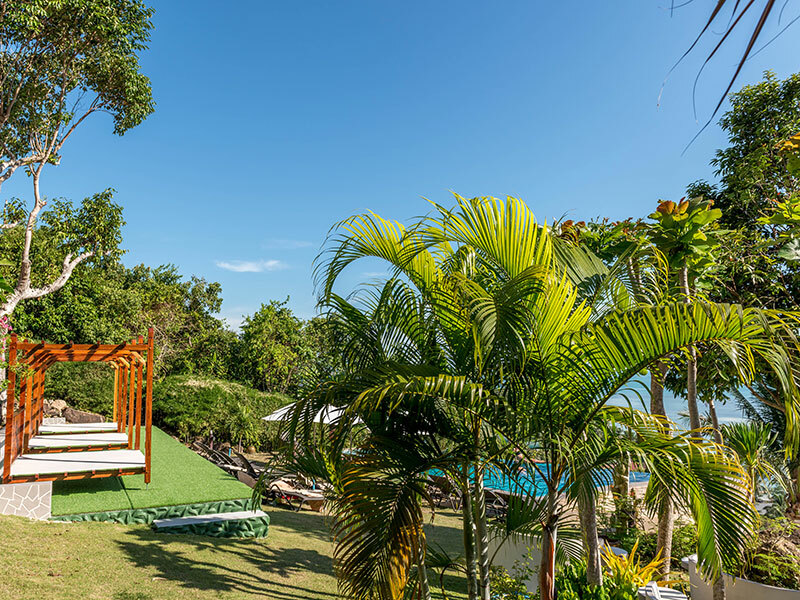 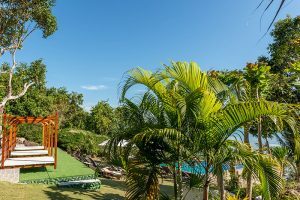 Around the pool you will find a luscious sunbathing garden with design sun loungers and a swing. 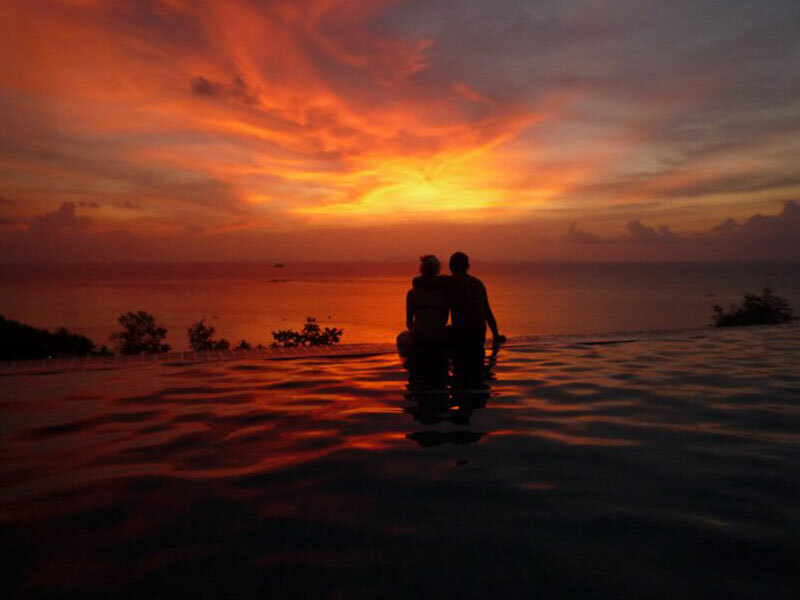 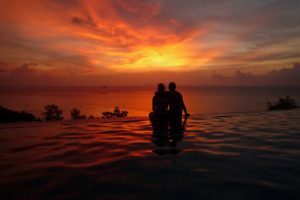 In the pool is a jacuzzi area which is a great spot to enjoy the daily spectacular sunsets. 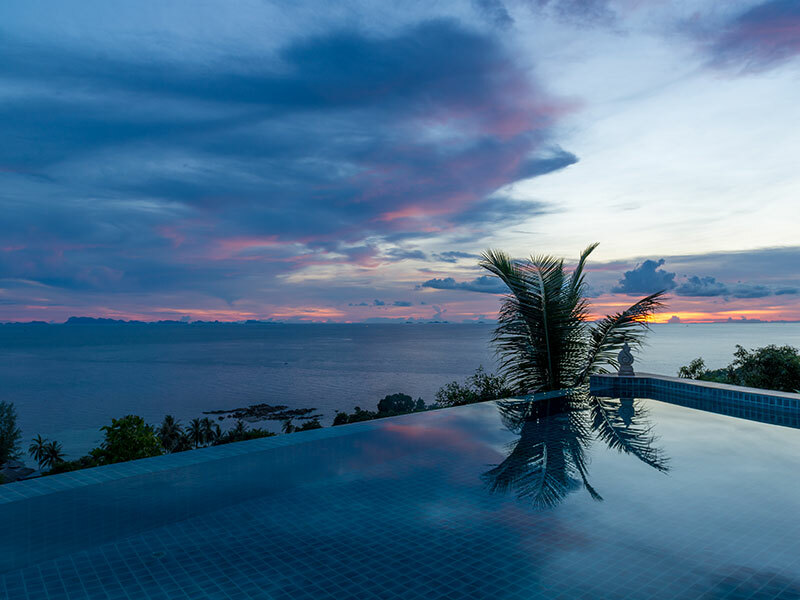 The infinity effect makes it look like the pool water flows directly into the sea. 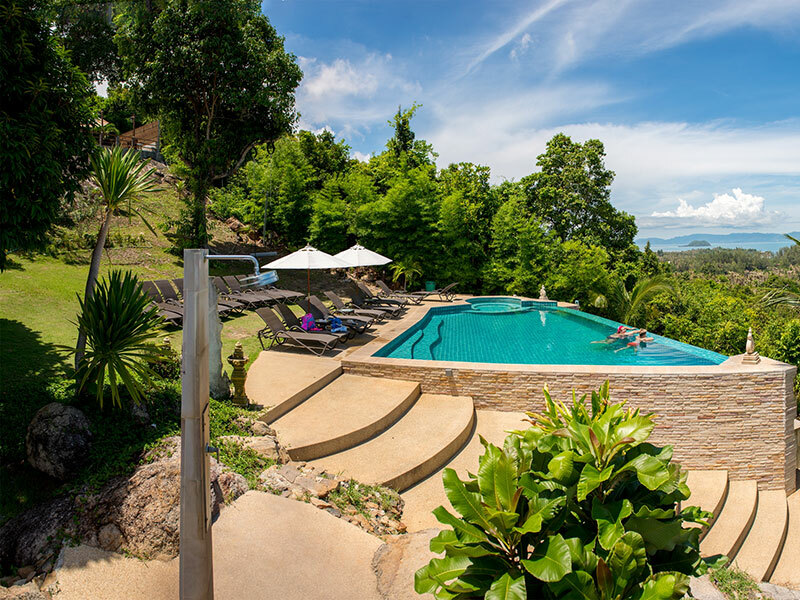 Our pool is a great spot for making pictures, sunbathing and of course swimming. 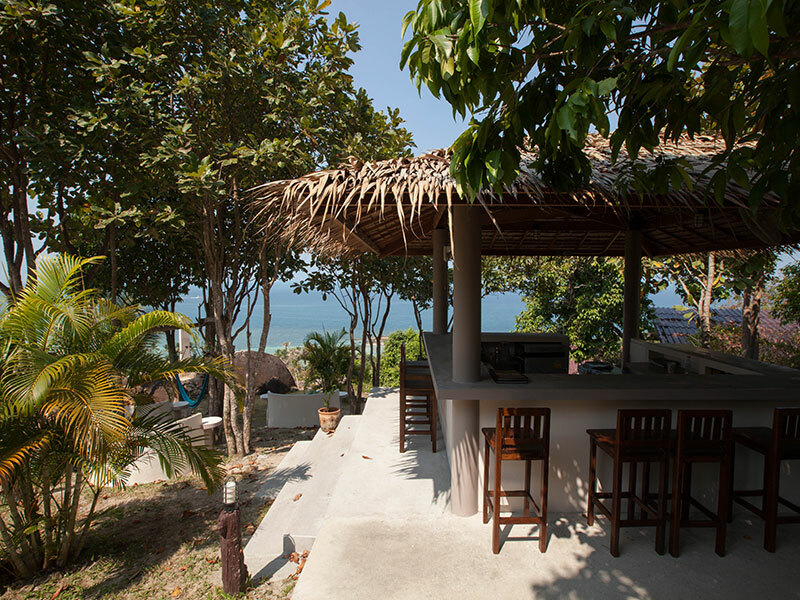 The lounge/bar also serves at the pool and when it’s busy we open the pool bar. 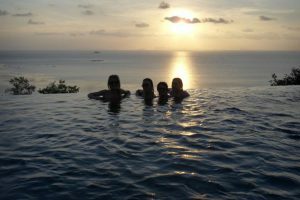 On special occasions we also arrange pool parties. 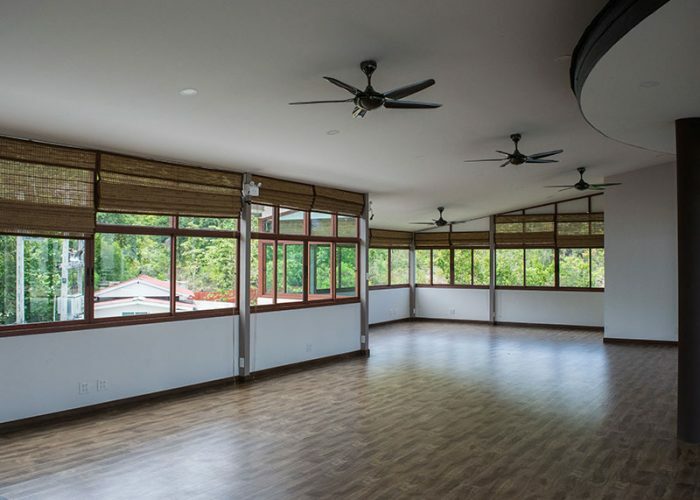 The beautiful space can be used for yoga sessions, workout, seminars, weddings, training courses, retreats and meetings for up to 40 people. 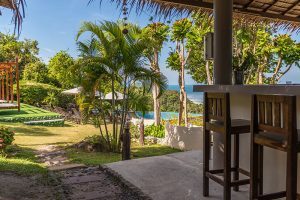 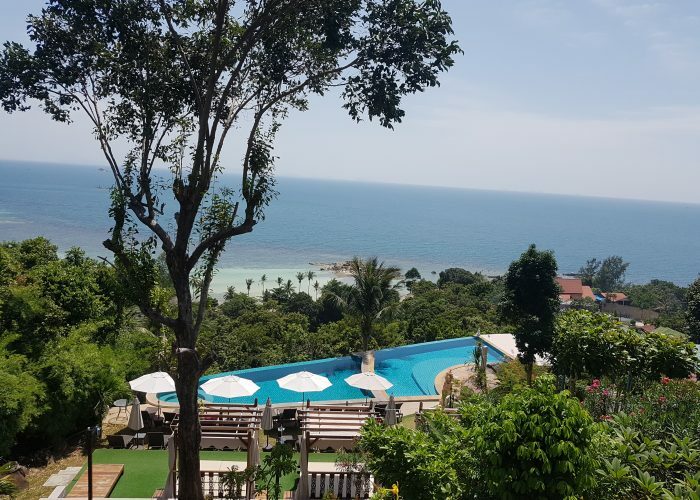 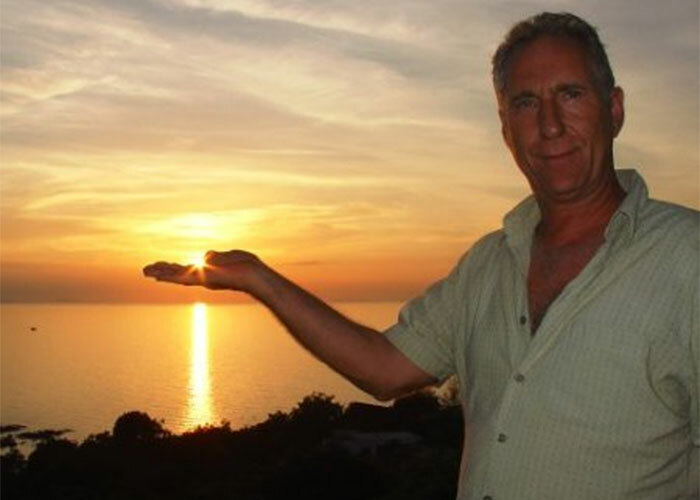 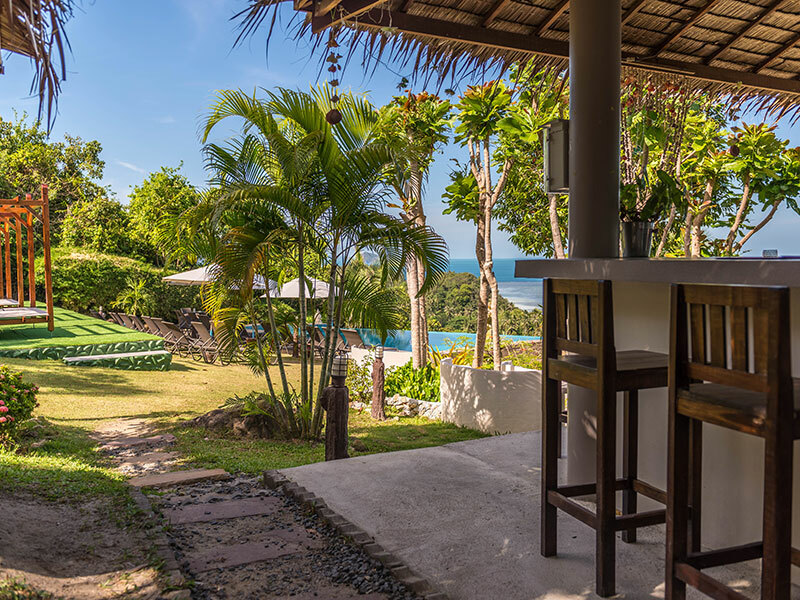 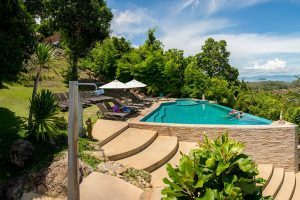 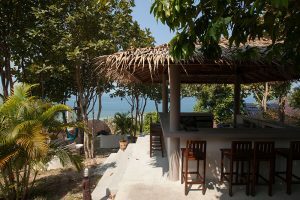 Check out our great room and suite photos and plan your next trip to Sunset Hill - Koh Phangan's Boutique Apartment Resort.